The NOSHOK Series 625 and 626 pressure transmitters combine the reliability and long life of diffused semiconductor and sputtered thin film strain gage sensors with safe electronics for outstanding performance and value. O-rings, gaskets or seals. These transmitters are available with a wide variety of pressure connections, ranges and electrical connections to suit most applications. All units undergo extensive testing during the manufacturing process to ensure that the highest performance is achieved in the demanding environments found in today’s applications. 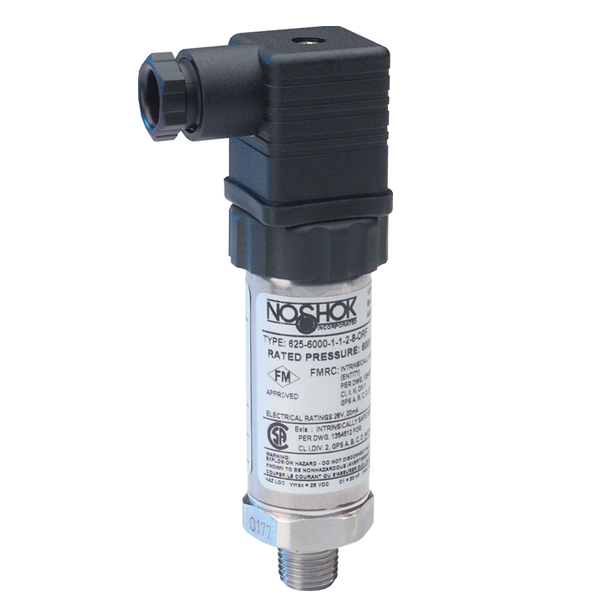 The transmitters are available with standard threaded connections as well as flush diaphragm configurations and are Factory Mutual and Canadian Standards Association approved. All models incorporate significant levels of RFI, EMI and ESD protection. *Other ranges, accuracies, process connections, and electrical connections are available.